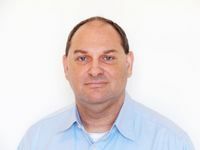 What Is Known So Far About China's Cyber Attack on the U.S.
Appleboum previously worked in the technology unit of the Israeli Army Intelligence Corps and is now co-chief executive officer of Sepio Systems in Gaithersburg, Maryland. His firm specializes in hardware security and was hired to scan several large data centers belonging to the telecommunications company. Bloomberg is not identifying the company due to Appleboum’s nondisclosure agreement with the client. Unusual communications from a Supermicro server and a subsequent physical inspection revealed an implant built into the server’s Ethernet connector, a component that's used to attach network cables to the computer, Appleboum said. The executive said he has seen similar manipulations of different vendors' computer hardware made by contractors in China, not just products from Supermicro. “Supermicro is a victim -- so is everyone else,” he said. Appleboum said his concern is that there are countless points in the supply chain in China where manipulations can be introduced, and deducing them can in many cases be impossible. “That's the problem with the Chinese supply chain,” he said. Bloomberg News first contacted Supermicro for comment on this story on Monday at 9:23 a.m. Eastern time and gave the company 24 hours to respond. Supermicro shares plunged 41 percent last Thursday, the most since it became a public company in 2007, following the Bloomberg Businessweek revelations about the hacked servers. They fell as much as 27 percent on Tuesday after the latest story. AT&T Inc. spokesman Fletcher Cook said, “These devices are not part of our network, and we are not affected.” Verizon Communications Inc. had no immediate comment on whether the malicious component was found in one of its servers. T-Mobile U.S. Inc. and Sprint Corp.didn’t respond to requests for comment. Sepio Systems’ board includes Chairman Tamir Pardo, former director of the Israeli Mossad, the national defense agency of Israel, and its advisory board includes Robert Bigman, former chief information security officer of the U.S. Central Intelligence Agency. U.S. communications networks are an important target of foreign intelligence agencies, because data from millions of mobile phones, computers, and other devices pass through their systems. Hardware implants are key tools used to create covert openings into those networks, perform reconnaissance and hunt for corporate intellectual property or government secrets. Appleboum said that he's consulted with intelligence agencies outside the U.S. that have told him they've been tracking the manipulation of Supermicro hardware, and the hardware of other companies, for some time. In response to the Bloomberg Businessweek story, the Norwegian National Security Authority said last week that it had been "aware of an issue" connected to Supermicro products since June. It couldn’t confirm the details of Bloomberg's reporting, a statement from the authority said, but it has recently been in dialogue with partners over the issue. Three security experts who have analyzed foreign hardware implants for the U.S. Department of Defense confirmed that the way Sepio's software detected the implant is sound. One of the few ways to identify suspicious hardware is by looking at the lowest levels of network traffic. Those include not only normal network transmissions, but also analog signals -- such as power consumption -- that can indicate the presence of a covert piece of hardware. Appleboum said one key sign of the implant is that the manipulated Ethernet connector has metal sides instead of the usual plastic ones. The metal is necessary to diffuse heat from the chip hidden inside, which acts like a mini computer. "The module looks really innocent, high quality and 'original' but it was added as part of a supply chain attack," he said. The goal of hardware implants is to establish a covert staging area within sensitive networks, and that's what Appleboum and his team concluded in this case. They decided it represented a serious security breach, along with multiple rogue electronics also detected on the network, and alerted the client's security team in August, which then removed them for analysis. Once the implant was identified and the server removed, Sepio's team was not able to perform further analysis on the chip. The threat from hardware implants “is very real,” said Sean Kanuck, who until 2016 was the top cyber official inside the Office of the Director of National Intelligence. He's now director of future conflict and cyber security for the International Institute for Strategic Studies in Washington. Hardware implants can give attackers power that software attacks don’t. In the wake of Bloomberg's reporting on the attack against Supermicro products, security experts say that teams around the world, from large banks and cloud computing providers to small research labs and startups, are analyzing their servers and other hardware for modifications, a stark change from normal practices. Their findings won't necessarily be made public, since hardware manipulation is typically designed to access government and corporate secrets, rather than consumer data. National security experts say a key problem is that, in a cybersecurity industry approaching $100 billion in revenue annually, very little of that has been spent on inspecting hardware for tampering. That's allowed intelligence agencies around the world to work relatively unimpeded, with China holding a key advantage.